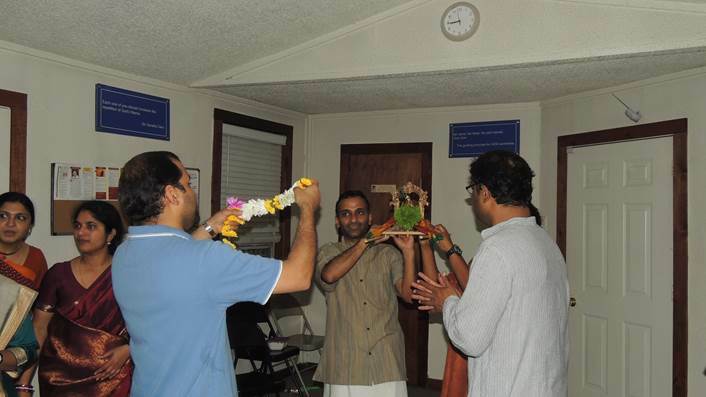 With Sri Swamiji’s immense grace and unlimited compassion a wonderful Madhura Utsav was celebrated at Houston Namadwaar from Wednesday August 28 through Monday Sep 2 2013 celebrating Sri Krishna Janmashtami. 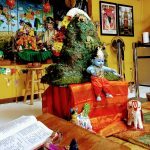 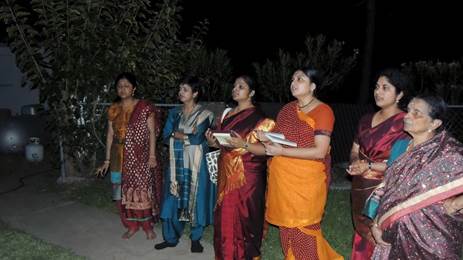 On Wednesday, Sri Ramaswamyji from California, performed Bhagavata Parayanam and rendered kirtans composed by Sri Swamiji. 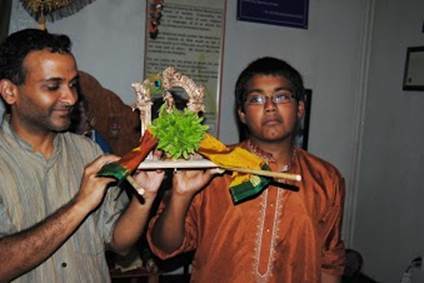 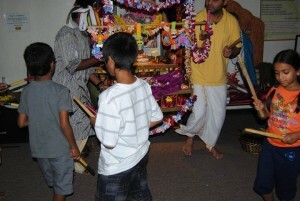 Akanda Nama Sankirtan was performed for the next two days in the daytime. A wonderful discourse on Krishna Jananam ensued after the Akanda Nama Sankirtan on Friday evening. 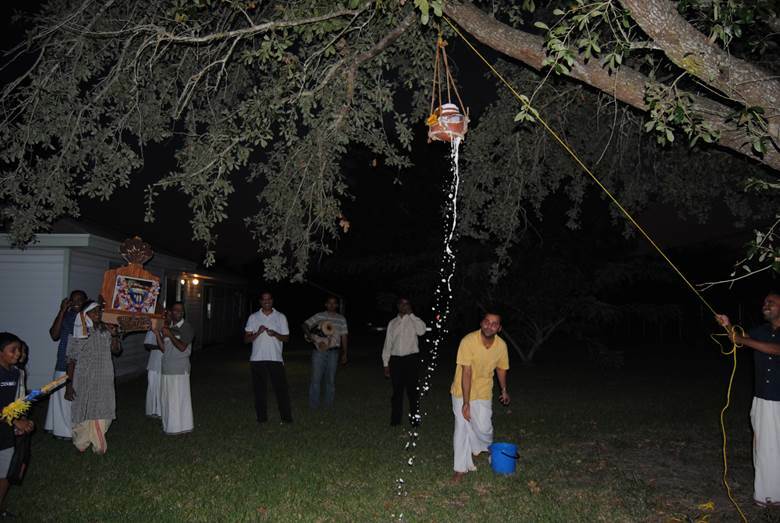 Following the discourse, Nandotsavam was celebrated by all the devotees along with Uriyadi and everyone smeared butter and curd on each other celebrating the birth of Lord Krishna. 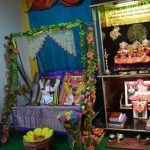 The divine couple was then taken in a Sesha Vahana circumambulating Namadwaar to the singing of kirtans composed by Sri Swamiji. On Saturday, Bhagavata Parayanam took place until noon and in the evening Purappad on Garuda vahanam accompanied with Sri. 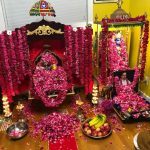 Swamiji’s kirtans, Vishnu Sahasranamam , Purusha sooktham Gajendra Stuthi and verses from Divya prabandham were chanted and it culminated in Sri. Swamiji’s kirtan Karunya Sindho….an offering of complete surrender to the Lotus Feet of Sri Swamiji. 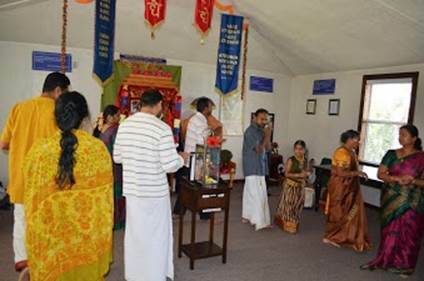 The morning of Sunday dawned with three hours of Akanda Nama Sankirtan, followed by an enthralling discourse on Govinda Pattabhishekam by Sri Ramaswamyji. Soul stirring Ashtapatis were rendered in the afternoon which filled Namadwaar with a divine ambience in the afternoon. 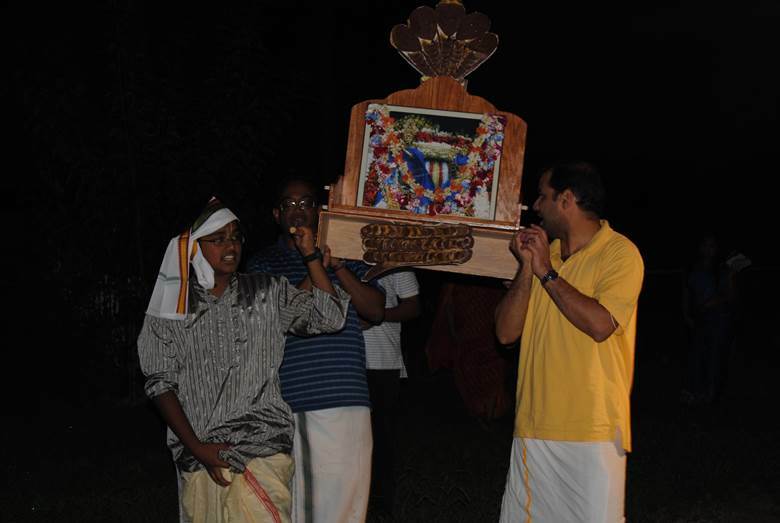 The evening saw Yaanai Vahana Purappadu and devotees were thrilled by the lively Janavasam and Malai Maatal. 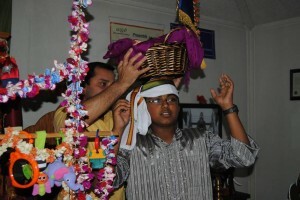 All the ladies offered milk and fruits to the divine couple. On Monday, Divyanamam was performed after Nama. 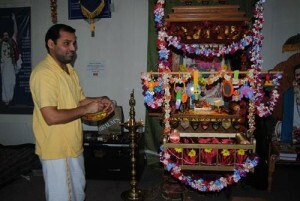 Sri Ramaswamyji discoursed on Rukmini Kalyanam. 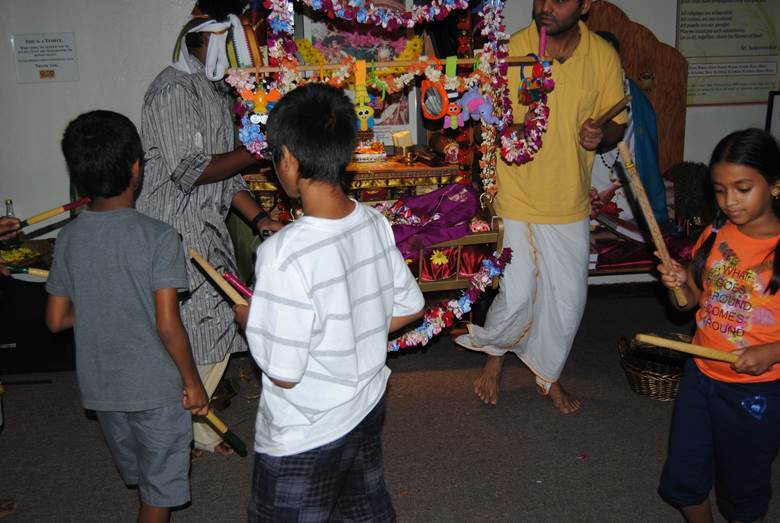 This was followed by the most auspicious Radha kalyanam with Ashtapathis and Sri Narayana Theerthar kirtans. 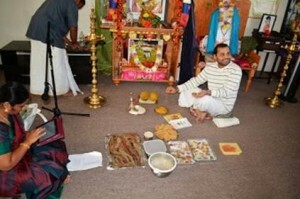 Sumptuous lunch and bhakashanams were served to all who witnessed the divine marriage. 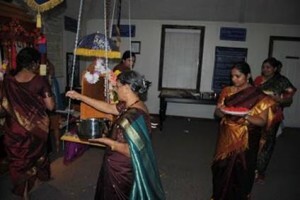 A super vada mala was offered to Jaya Anjaneyar and the celebrations concluded with Anjaneya utsavam. 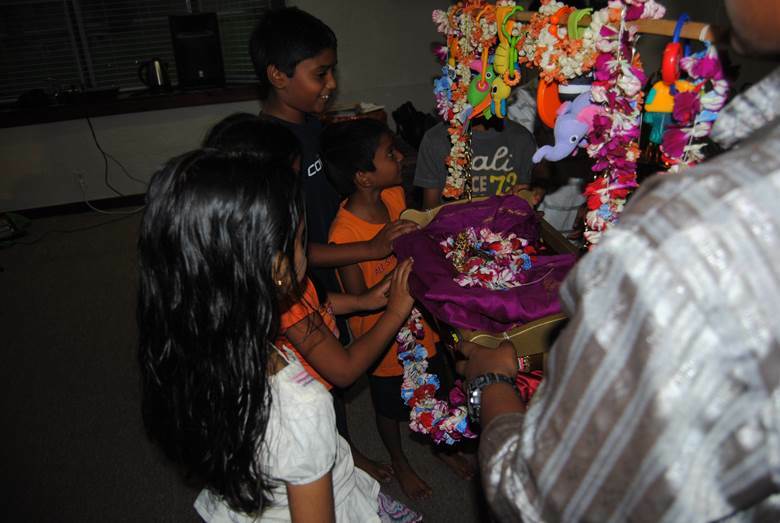 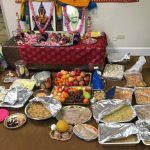 Close to 50 people attended this beautiful Madhura Utsav. 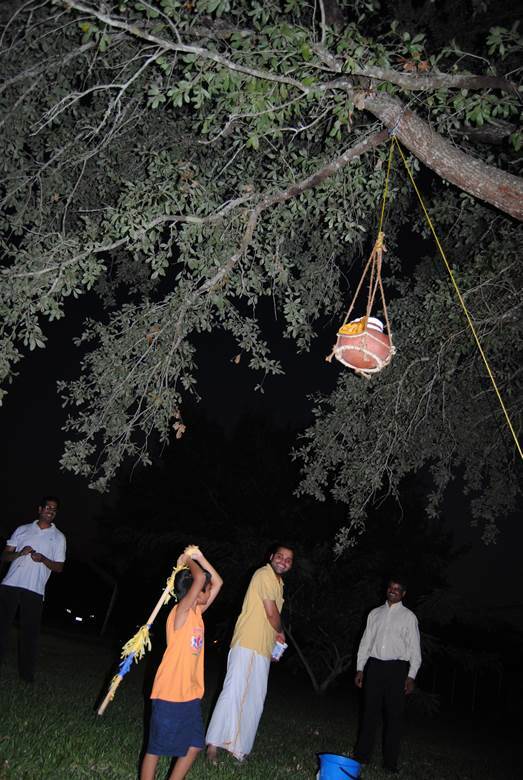 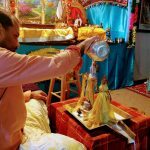 Many new devotees from Houston area took part in this utsav. 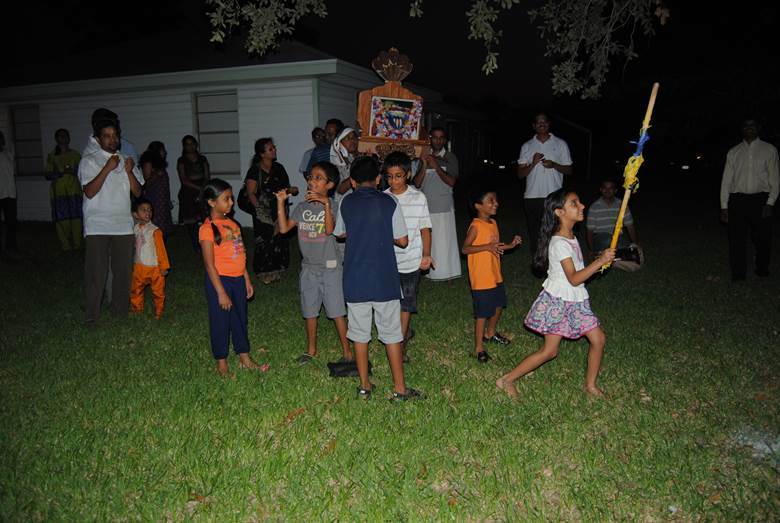 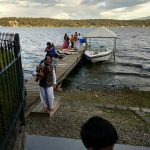 New devotees who witnessed the functions expressed their profound gratitude for they had never witnessed an Utsav of this nature before, it was filled with love to Krishna and it was fun. 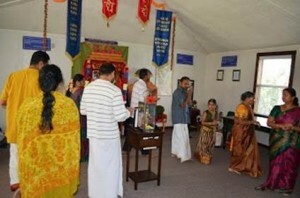 Many devotees from California and Dallas joined the celebrations on all days.